In the near future, in two Disney parks not so far away, a new and amazing world will be opening up. 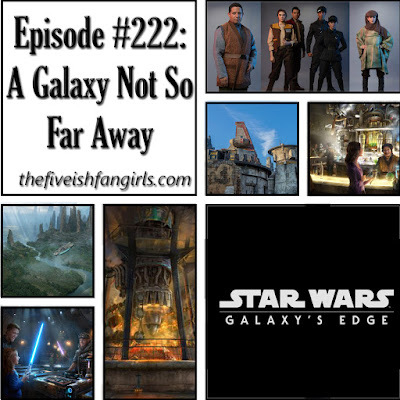 Join us this week as we dive into what to expect when 'Star Wars Galaxy's Edge' opens at Walt Disney World and Disneyland this summer. From attractions, shopping and yes, food, we'll take a look at how Disney Imagineering has brought the world of Star Wars literally to life. Plus important information if you plan on visiting either park during the grand openings. Also news and your feedback! PopCon announces “PopCon Geek Week"